Its a cool October morning streamside along the East Inlet on Rocky Mountain National Park's west side. 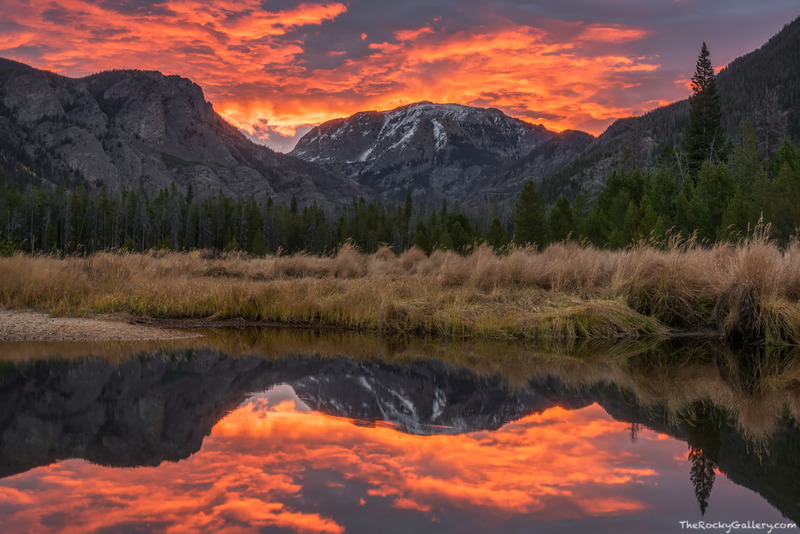 On the other side of the continental divide the sun is rising over the plains of Colorado and bathing the eastern faces of Rocky's east facing peaks in warm light. The clouds over the top of Mount Craig or Mount Baldy as its called by locals explode with brilliant color. Photo © copyright by Thomas Mangan.